Melinda Merritt is a spiritualist who is descended from a family of Sages. She chronicles in her new book, Age of Aquarius: Spiritual Reckoning, the Age of Correction and Change—the Age of Aquarius in astrological zodiac terms. She shows how to connect the dots from the previous Ages, which are also identified in the Bible, to come up with a dramatic illustration of how we arrived at this Age. All prior documented Ages experienced a significant spiritual change. This Age of Aquarius will also experience a profound spiritual change. Age changes are always accompanied with human birth pains (destruction, uncertainty, emotional instability, human cruelty, etc.) just to name a few. All the current unusual happenings around the world are our human birth pains. When we arrive on the other side of these birth pains, we will be a better humanity. Because of the positive, magical, metaphysical, masculine, and intellectual vibrations of this Age, it will be a very interesting ride. Merritt strongly believes that the universe will correct itself—from the destruction, corruption, and neglect of humans—to regain its natural spiritual balance. She also outlines and connect the dots explaining how the Tree of Life’s spheres impacts US politics, and how the culture-inherited hatred robbed this country of its greatness. She says that Age changes such as these, only happen once every 2000-2400 years. The people on earth right now are very fortunate to be here experiencing the beginnings of something great. The Holy Spirit will reveal all shortly. 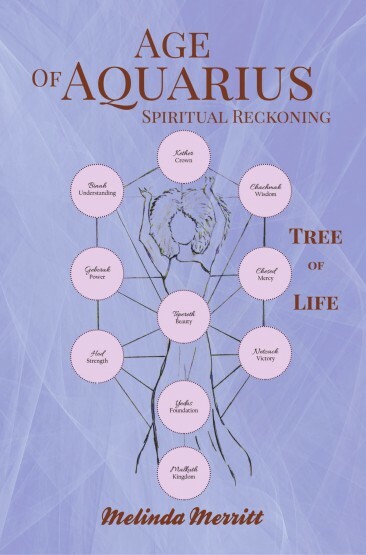 You can grab a copy of Age of Aquarius: Spiritual Reckoning at selected online bookstores. Book copies are available at LitFire Publishing, Amazon, Barnes & Noble, www.spiritualageofaquarius.com, and other online book retailers. Melinda Merritt was raised in an enchanted, spiritual, loving family in a small, traditional Southern town. She grew up trained by Sages. She underwent formal education to learn the thought processes of man, but spent her entire life studying astrology to find the connection between the stars and mankind.